Here in the Northern Hemisphere, Spring has finally arrived and I just got back from a 3 week trip with my son to Central America. It was his Spring break and I always like to take his time off from school as an opportunity to travel with him and take him on trips with me where I am able to meet with my guides and also do hotel inspections in each country I visit, which I find crucial to creating inspiring and fulfilling customized itineraries for my clients. During this trip we spend 9 days in Guatemala, 8 days in Nicaragua and 5 days in Panama. 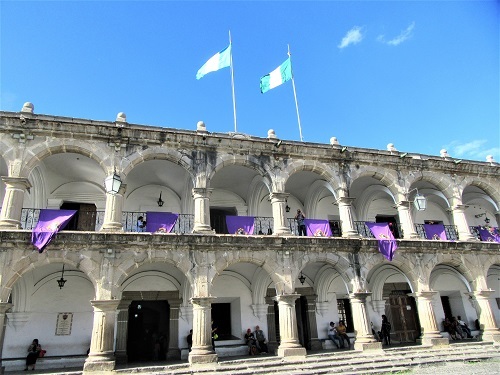 In this newsletter I’d like to share our day to day itinerary for our time in Guatemala, which might inspire you to also visit this amazing country, which we absolutely fell in love with. Upon arrival at the Aurora International Airport in Guatemala City in the even hours, our guide Carlos was already waiting for us outside the baggage claim area, ready to take us to the beautiful city of Antigua. 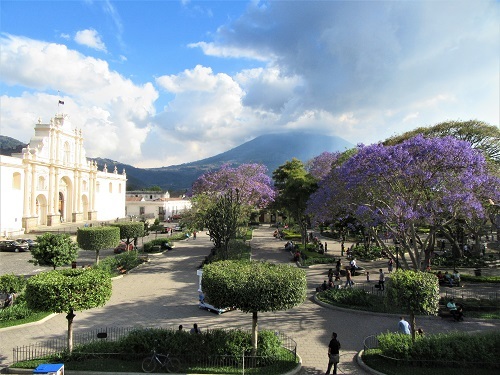 I highly recommend that you are going directly to Antigua, rather than staying in Guatemala City. The transfer only takes about one hour, depending on traffic, maybe a little longer but it’s well worth it. Antigua is quaint, friendly and incredibly picturesque. It has won over our hearts and we still look back, missing this colorful gem. 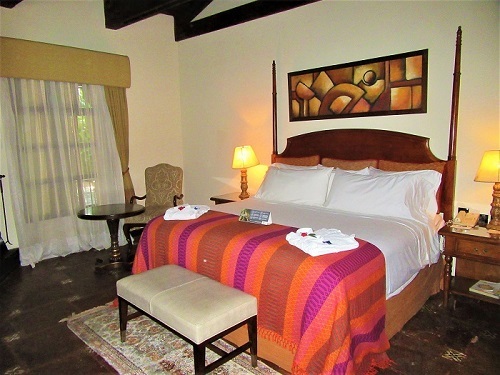 We checked into our hotel, the Porta Hotel Antigua, which is a great choice and I really enjoyed it’s courtyards, water features and terraces which give you nice views of the city and the surrounding volcanoes. The rest of the evening was spent having a nice meal at the hotel and enjoying the peaceful atmosphere of this property. After a leisurely breakfast, our guide Denis picked us up from our hotel for a morning walking tour of the city. 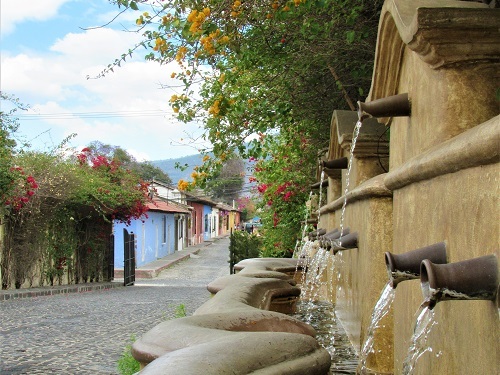 The Antigua Walking tour will let you discover the secrets behind the walls of this beautiful city built in 1543. We visited the lively Central Plaza, the Cathedral, San Francisco Church, Jade Museum and La Merced Church. It was all brought to life by our guide’s stories about the history of Antigua. The tour took about 3 hours and after we had finished our little walk around town, Isaac and I went to our favorite little restaurant next to the Central Square, LA CASACA, which is a quaint little place run by wonderful ladies and we ended up eating there every single day. If you are in Antigua and are looking for simple yet really yummy tasting food, I highly recommend coming here. For the rest of the day we strolled around town, which seemed to be one of our favorite things to do during our time in Antigua. 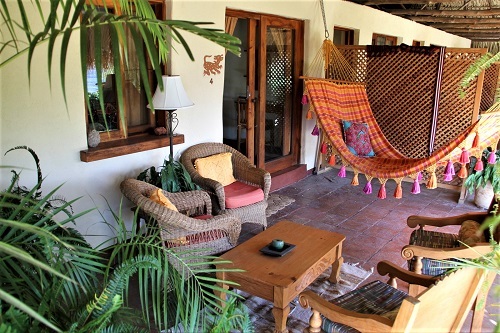 Antigua is world famous for its delicious coffee and there are several coffee plantations thanks to the perfect climate and the altitude Antigua is located. This morning our driver picked us up from our hotel to take us a private coffee plantation in San Miguel Escobar, 10 minutes from Antigua. Upon arrive we were met by Julio, who, together with his father and mother runs a coffee plantation which is part of a cooperative of farmers growing organic coffee. 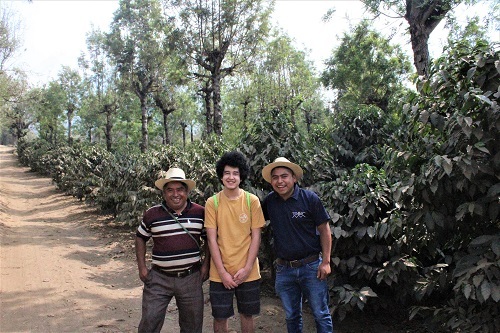 Together with Julio and his dad we walked up the hill from their home where they had they grow their coffee and learnt the entire process from the coffee’s seed to when it ends up in our cup. – Did you know that the process takes 4 years?! Afterwards we went back to their home where his mother ground some freshly roasted coffee beans, by hand on a stone, for us to show how she used to grind coffee in the old days and made us a great cup. This whole experience truly makes me appreciate my daily cup(s) of coffee so much more and it’s an experience I wholeheartedly recommend, especially since we only arrange private visits and don’t use any of the large coffee plantations which are geared towards tourist visits. After we got back to our hotel, we had lunch and enjoyed the afternoon by the hotel pool and had dinner at our favorite restaurant in Antigua, the La Casaca. This morning I had appointments with 4 hotels to do hotel inspections in Antigua. I always enjoy these as I get to meet with the general manager and see many of the rooms as well as different facilities of each property. These inspections are extremely helpful when I make recommendations to my clients and advise which the best property would be for their particular stay. In the afternoon Isaac and I walked up to the Cerro de La Cruz on our own which is an easy and enjoyable walk through town and up the hill. Once you are there, you’ll have commanding views of the city as well as the surrounding volcanoes. There is also always a nice breeze and a great atmosphere. The walk through town is so enjoyable and do stop at the Central Plaza where many of the locals hang out, play music and just enjoy the day. There are many little restaurants and cafes in the area as well, perfect for a little break on the way back to the hotel and we chose to have a nice fresh smoothie made for us before returning. 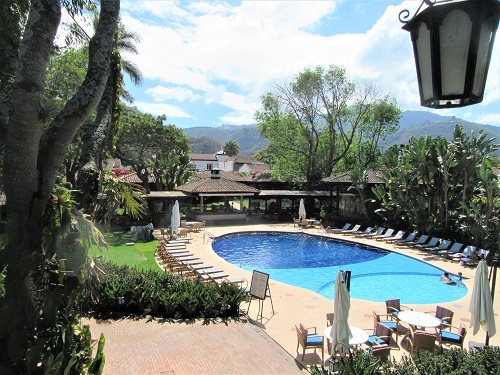 The evening was spent relaxing at the hotel and preparing to leave Antigua the next day to drive to Lake Atitlan. If you like to be a little more active, I highly recommend to hike the most active volcano in Guatemala – the Pacaya Volcano. The elevation of this volcano is about 2500 meters above sea level. Together with your guide, you’ll drive for about 1 hour from Antigua. Once you get to the visitor’s center, the walk up to the highest point takes about 2 hours. 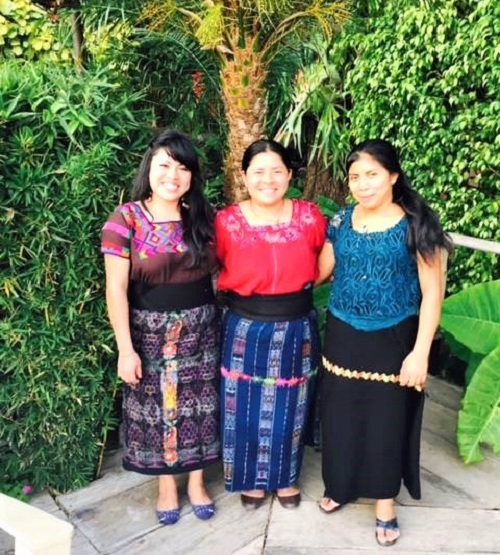 After breakfast, our drive & guide picked us up from our hotel and we began the 3 hour drive through local towns and villages to Lake Atitlan. Along the way we stopped for a nice lunch and there is also the opportunity to visit the Chichicastenango Mayan Market but we decided to go directly to Panajachel. Upon arrival, in the late afternoon, we were greeted by a nice warm rain shower and checked into our hotel, the Porta Lago, right on the lake with breathtaking views. Since it was already later in the day, we had dinner at the hotel and went for a walk around this quaint little, yet bustling town. 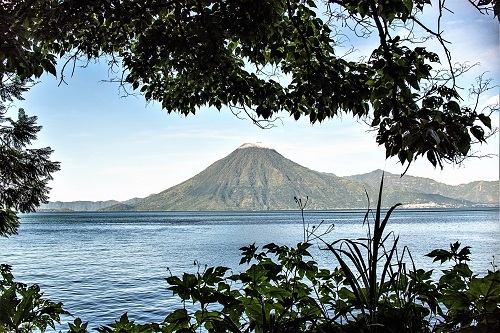 I spend the morning inspecting 3 hotels but for my clients I recommend to take a private boat tour to the villages of San Marcos, San Juan, Santiago around Lake Atitlan. This will allow you to have an inside look into the local life style as well as find some beautiful handicrafts made by local Artesians. In the afternoon we walked around town and had dinner at a quaint little restaurant near the public pier. On the way back to our hotel, we’ve found the perfect Gelato place which is owned by a wonderful Italian lady who had come to Guatemala 14 years ago to do volunteer work. She fell in love with the country, its people and as they say, the rest is history. She never left and now supports the local community by employing people helping her make, probably the best Gelato in Central America. This morning Isaac and I rented kayaks and spend paddling around the lake. What a great experience and way to enjoy the magical atmosphere. 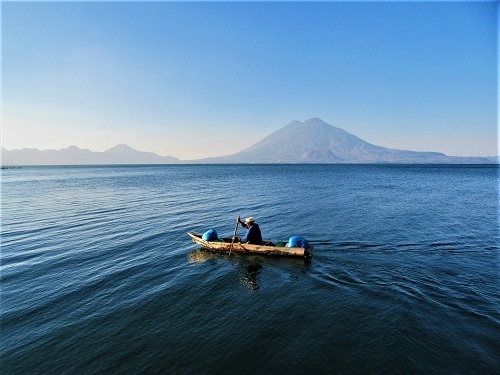 Especially in the morning, you’ll still get the best views of the volcanoes around, in the afternoon usually clouds move in which limit the visibility. The lake is usually calm in the morning hours and get’s rather stirred up in the afternoons, making kayaking a challenge. In the afternoon, we had a boat pick us up from the private pier and take us to the beautiful Villa Sumaya. This is a place I have used for many of my private clients as well as groups who are looking for a more contemplative experience. 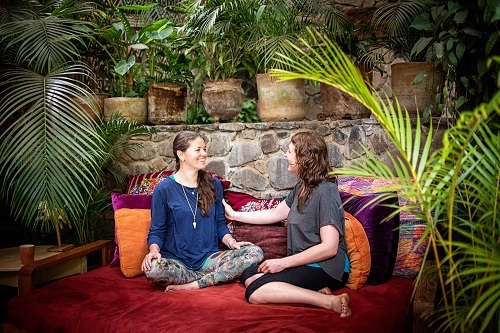 This place is truly magical and if you are wanting to get away from it all, enjoying yoga, meditation and spa sessions, this is the place to stay! The entire ‘resort’ has been created with love and care by the wonderful owner Wendy, who has been here for over 15 years. During your stay at the Villa Sumaya, you can also enjoy the same tours you would do when staying in Panjachel and even join some of the volunteer projects offered by the hotel, if you wish to do so. The meals are all home made by the staff and simply incredible. It is Vegetarian based but chicken and fish will be prepared upon request for anyone who wishes to have some extra protein. Spending the afternoon here and seeing all the different spaces of the Villa Sumaya was magical and we’ll definitely be back soon. 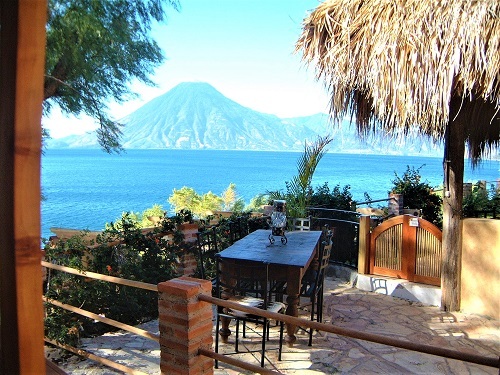 In case you are interested in coming here this summer, we have a group staying here for 7 days and work at a volunteer project in Panajachel each day which will be an inspiring, exciting and truly rewarding experience. After we were brought back by boat to our hotel, we had a leisurely evening and dinner at the hotel. After a leisurely breakfast, Carlos, our trusted driver and guide picked us up from our hotel and drove us to Guatemala City. The drive takes about 3 hours but can take longer, depending on traffic, which can be quite heavy. 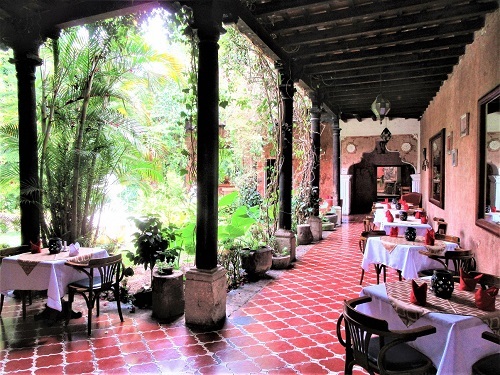 Because of this, I always recommend to have the last night either in Antigua or Guatemala City before departing by air unless you have a flight later in the afternoon or evening. 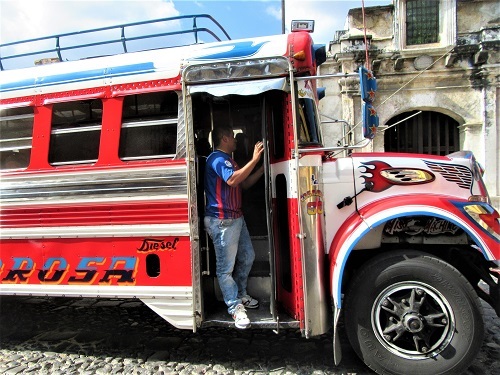 Many hotels in Guatemala City will have a free shuttle to the airport and we decided to stay at the InteContinental Real, which turned out to be a great choice. It’s near a mall and many restaurants. The hotel itself also has a really nice restaurant where we decided to have our dinner. With sad hearts it was time to say Good-bye to Guatemala, a country we have really fallen in love with and we’ll definitely be back. From Guatemala we flew to Nicaragua but more about this exciting country in my next newsletter. Because I had appointments in Nicaragua and Panama, we had to limit our time in Guatemala to 9 days but if you are planning to go, I strongly recommend to include a one or two night trip to the Tikal, which is an ancient Mayan citadel in the rain forests of northern Guatemala – it is breathtaking and not to be missed. If you are feeling called to visit this beautiful country and experience its friendly people, please feel free to contact me for a customized itinerary. 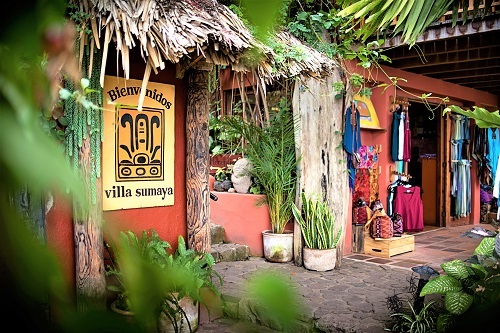 You can visit just Guatemala or add nearby countries like Honduras, Belize, Nicaragua and Costa Rica. Everything is custom designed for you and you’ll have the pleasure of meeting our wonderful guides and stay in some of the best, handpicked hotels. I hope you enjoyed this little trip report and please feel free to comment and let me know if you have any questions.